Now that the offseason is settling into our house, the baseball homesick minds have to start breaking down what happened and what will happen going forward. This week, I participated in The United Cardinal Bloggers roundtable discussion. Here are my answers to the first week’s burning questions. Grading Matheny’s season isn’t easy because while the result was 2 wins shy of a World Championship, he made a few mistakes that would have crippled other teams less stocked with such an arsenal of young talent. Matheny was very solid again this season and for me that means a B+ grade. What he lost in injuries to key veterans and young arms was made up for with a late brigade of future pitching power and the full time arrival of Matt Adams. Matheny’s biggest attribute is also the thing that lessens his grade from the A level. His loyalty. He leaned towards his heart instead of his head and in the end I believe it costed him and the team dearly. Mozelaik didn’t set him up with the greatest set of cards when he didn’t stock the bench at the trading deadline, but Matheny failing to make key adjustments in the later part of the season and into the World Series was damaging. What started as a severe loyalty to fallen closer Mitchell Boggs(including giving him one extra closing opportunity mid season that blew up a winning streak) ended with his unwillingness to insert fresh players into roles. His playoff roster construction was simply bad team management. He gave two respect spots to Edward Mujica and didn’t feel like using rookie Shelby Miller more than once. In some crazy way, I expected Ty Wigginton to show up on the roster as well just to make it seem right. Matheny also didn’t turn Tony Cruz loose by putting Rob Johnson on the postseason roster. He depleted his bench by putting players on it he hoped to never actually use. Name another manager that wins a World Series and does that. Matheny needed to bench David Freese in the World Series. The former Mr. October had done little to deserve every start in the World Series and ended it without an RBI. If Tony La Russa can bench Scott Rolen in the 2006 World Series, Matheny had to find a way to sit Matheny, insert the speedy Kolten Wong(pickoff or not) and switch things around. Playing Jon Jay(also no World Series RBI) Shane Robinson at a time where Jay was the lesser player was also a big mistake. His loyalty to Freese and Jay hurt this team’s offensive chances. Let’s not forget that if Mozelaik hadn’t basically banished Fernando Salas and Boggs, there was a good chance Mike would have used them more. Matheny’s greatness came from his ability to stick with the right rookies and go with youth over age. He inserted Mujica and Trevor Rosenthal into the closer role for good returns. He engaged Joe Kelly a little too late out of the garage and fired up the Wacha Train in the final stages. His key plus also happened to be his weakness when he failed to recognize a leaking part. The pitching changes, bunt craziness and other little bits of Matheny brokerage was also hard to watch at times. In the end, Matheny pushed the team 3 wins further than he did in 2012 but may have hindered his team with his moves late in the playoffs. 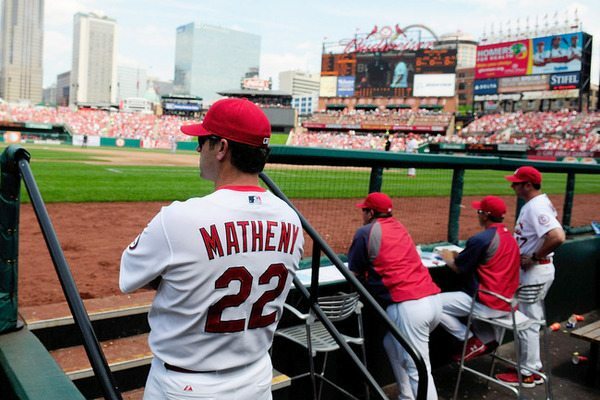 When I think of Mike Matheny, I see a talented young man still learning to be a manager in the majors. This team would obviously run through a wall for him and that won’t change going forward. Matheny simply has to know when to say when with his players and their abilities. If someone else is a better option, go with the solution now rather than their resume. I do expect Matheny to improve as he goes along. 2.) What to do with David Freese? It’s hard to think of Freese and not get a little emotional. The local kid who came here in a deal for departing slugger Jim Edmonds who turned into an unlikely World Series hero in 2011 is a fine story to tell your kids but these days that is all it amounts to. An older story. Freese’s heroics did happen just two years ago and he put together a fine 2012 season which begs the question of whether to keep him or not. My answer is only if he wants to be a bench player. Part time at best and most of the time a late inning pinch hitter/DH/injury backup. His days as a starting third baseman are over. Blame it on injury or something else, but I’d say its a ceiling collision of one man’s talent with the ever growing pitching surplus of Major League Baseball. Kolten Wong deserves the opportunity to get a healthy dose of at bats at second base and no way will Matheny take out Carpenter’s bat, fluke or not. David Freese will have to decide if he wants to play full time for a lot less elsewhere or will he take a seat on the bench and earn 4 million here where there is a guaranteed chance of winning. Paying him 4 million won’t be stupid. Signing a veteran as good or less than Freese will likely cost you more. This decision comes down to Freese. Hopefully Mo is blunt with David in those talks. Do you want to be a part time contributor/pinch hitter here or a full time player somewhere else a little bit less awesome? His age and the Cards burgeoning vessel of youth puts this Lou Hero on the bubble. 3.) With so many arms in the running for a rotation spot in 2014, what group makes up my starting 5 for opening day? Barring further injury, my starting rotation out of the listed candidates has to Wainwright, Wacha, Garcia, Miller and Martinez unless Lance Lynn finds a way around an offseason trade. Lynn is premium trade material. He has a fine resume that includes over 30 wins in two seasons and good bullpen work. He is young and hungry and may need a change of scenery to lower his pouting potential. Jaime is making 7 million this year so he needs to be in the rotation and he is a lefty who can be great when he is on. Let’s hope his feelings are in check. Joe Kelly is Mr. Stretch. He can start, relieve, and close and will find himself in that long arm bullpen spot to begin the season as insurance in case someone gets hurt. Few can do what he does effectively. 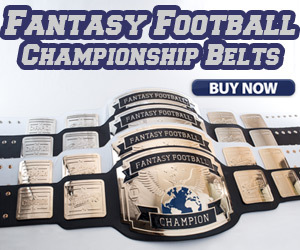 Be solid out of the bullpen and win a lot of starts. His mindset is key and helps him adjust. I am surprised teams don’t target him in a trade because of his versatility. Lyons and Gast are Memphis starters until injuries happen. They performed well in 2013 but won’t climb over guys like Martinez and Kelly for starts, at least not again. These guys are also trade depth because they proved they can come up to big leagues and instantly win games. Look for them to be add on’s to big deals Mozelaik keeps up his sleeve. Trevor Rosenthal is a setup-closer with this team for a long time. He has the makeup, ability and finish to go into the ninth and let it rip. We saw it for good when he saved 3 games in the final week of the season and basically made the Pirates, Dodgers and Red Sox look stupid for a month. He has a propane heater and a decent changeup and if he was going to try his hand at starting again, he would have to redefine that third pitch. I get why he wants to start but at this point it’s futile. Jason Motte will be back but won’t be ready to even compete for the closer role until July. Motte had the surgery in May of 2013 which means he may not touch a baseball diamond during a real game until late April/early May. He will find his control and slowly develop back into that stopper we knew from 2011 and 2012. 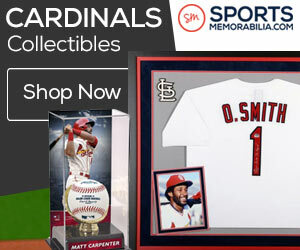 He will set up until the Cards really deem it necessary to switch him and Rosenthal. If Trevor is throwing gas and closing everything, it won’t happen unless Motte is electric. I do think Motte gets back to the closer role sometime, but too late for Rosenthal to switch back to starting. Motte makes 6 million this year but needs to get healthy. Rosenthal may say he would like to start but watching him close in October I see a man empowered and having a lot of fun. Let’s not believe he is wanting to truly move just yet ladies and gents. Waino, Wacha, Garcia, Miller and Martinez for me in early April. That’s all this week. This next week, I present my question to the roundtable and what it is will depend on what hasn’t been put forth up to that moment. Expect 3-4 more burning questions next week. I expect Carlos Beltran’s rejection of the one year qualifying offer to make one of the questions, but to me it’s a non issue and needs to be thrown to the side. Beltran was paid handsomely for 2 years and only missed 28 games and bashed 56 home runs and played solid baseball. He wants 3-4 years and that won’t come here. So long Carlos. Also to be addressed-Jon Jay, Closer Situation in 2014, Oscar Taveras, and Kolten Wong.